The Definitive List Of The World's Best Business Schools -- Please Help! We’re still working on our ranking of the world’s top business schools, which we’ll publish in a couple of weeks. We’d be grateful if you would help by filling out the survey below. Thanks in advance. 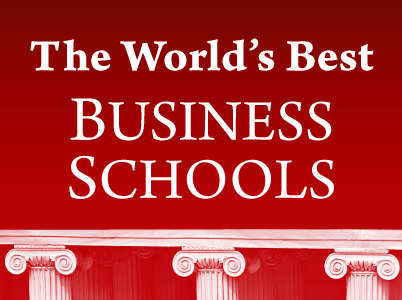 What’s the best business school in the world? BusinessWeek says it’s University of Chicago. U.S. News says it’s Harvard. The Economist says it’s Spain’s IESE. And so on. And, unfortunately, all these ranking lists are missing the point. When these publications develop their rankings, they mainly analyse curricula, “programs,” faculty commentary, and other info. When it comes to assessing the value of a business school, however, there’s only one thing that really matters: The amount the school will help your future career. In other words, it’s not just about the quality of the professors. Or the “education.” Or the campus facilities (although it’s certainly nicer to spend two years in paradise than a dump). Or any of the other things business schools love to brag about. It’s about the value of the school’s brand and the network of contacts you build while you’re there. It’s also about how other people perceive the quality of the school. These two things–a credential that will cause prospective clients and colleagues to be impressed by you and a high-power social network–will help your career vastly more than any accounting course or case study. And they’re what you’re really buying when you elect to spend two years and up to ~$100,000 as a customer of a particular school. We think you deserve to know the value of what you’re buying! And, with your help, that’s what we’re going to tell you. We’re going talking to executives across a wide variety of industries to get a good sense of the actual value of particular schools as an asset to your future career. We’re also collecting and analysing the results of the survey below. Please take 5 to 10 minutes to answer the questions below. In a couple of weeks, with your help and our own research, we’ll be able to reveal the definitive list of the World’s Best Business Schools.